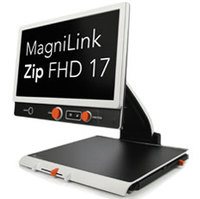 MagniLink Zip 17 is a true, portable video magnifier with a Full HD reading and distance camera. 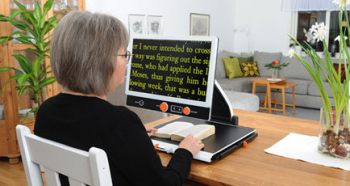 It comes with a low-vision adapted 17.3” monitor and a stable X/Y table for comfortable reading and precise control. It has all the functions offered in a desktop video magnifier, but can be folded and carried to another location easily. This is a good choice for users that read frequently and sometimes need to move their video magnifier between different locations, for example home and work, hotel, summer house, etc. 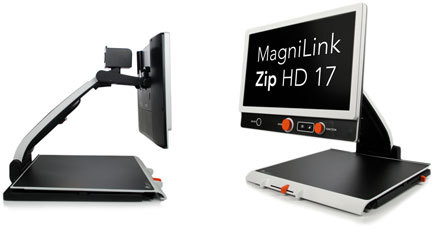 The stylish, space-saving design makes MagniLink Zip easily placed in both homes, schools and workplaces. seen in a video magnifier. The design has been modernized and now follows the award-winningLVI design line*, introduced with MagniLink Vision. 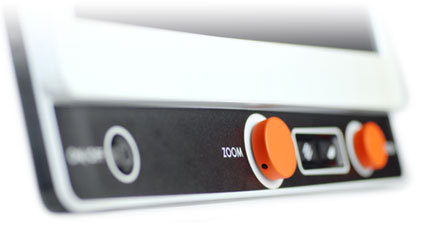 The lowvision adaption is improved and MagniLink Zip is easier to use than ever. X/Y friction brakes, guiding lines, low-vision adapted monitor – and great image quality! A distance camera, adjustable both vertically and horizontally, is included.